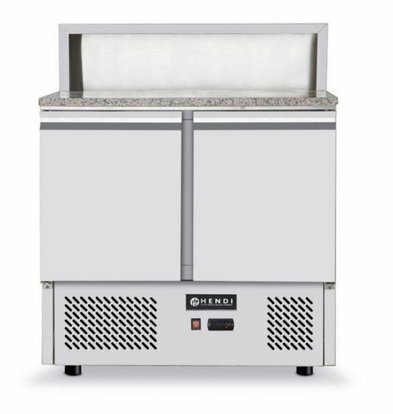 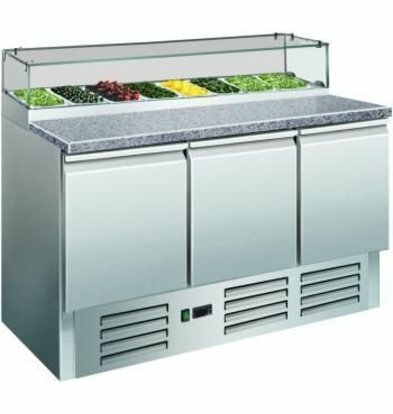 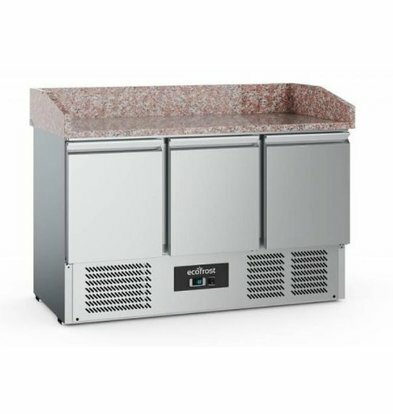 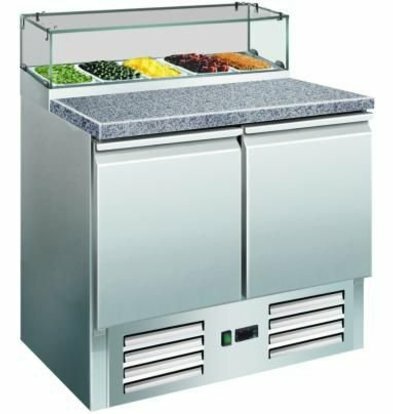 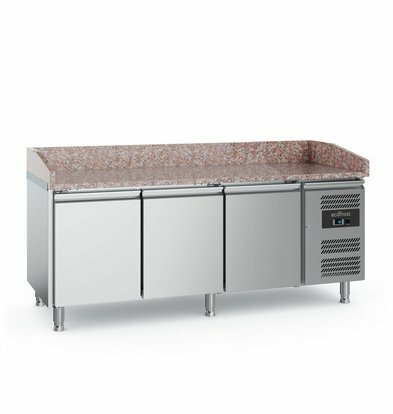 The pizza benches, pizza counters, pizza and pizza stations XXLhoreca saladieres ensure that you can comfortably prepare all kinds of dishes. 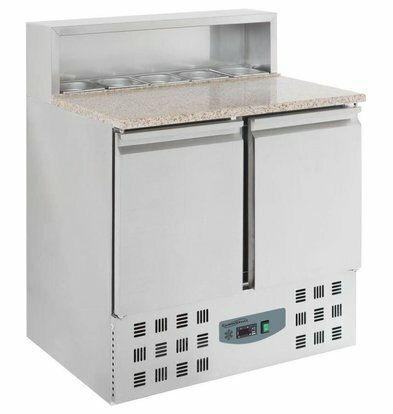 The workbenches disposal at a convenient refrigerated upstairs room where you can store your baking GN. 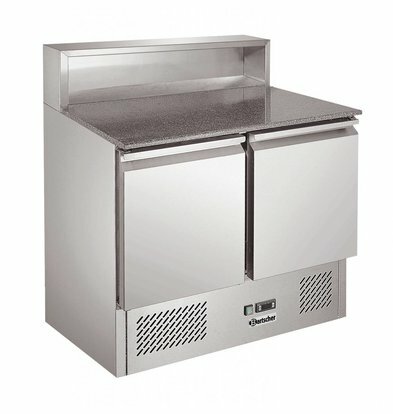 They are made ​​of high quality metal for hygiene and ease of maintenance. 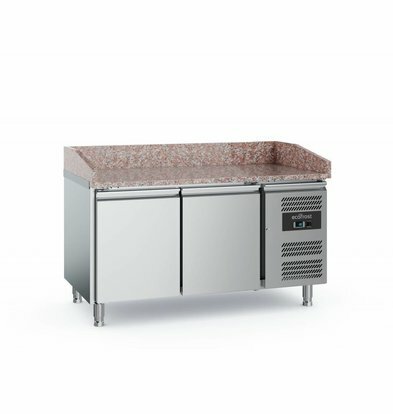 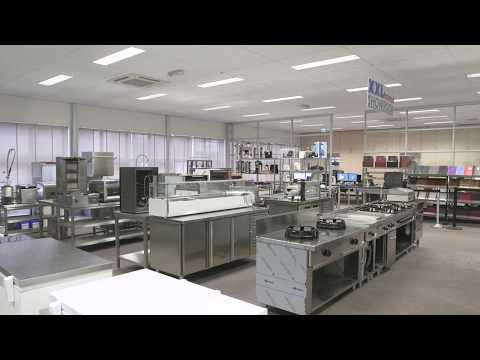 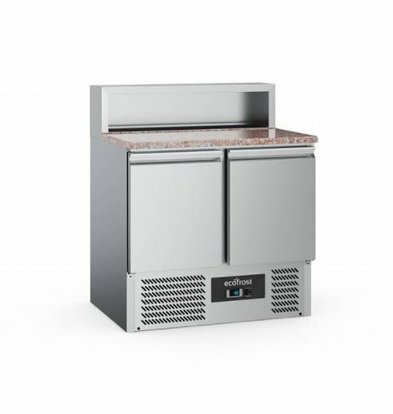 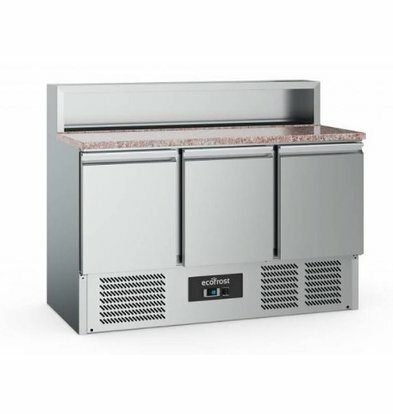 Besides the pizza workbenches of Saro and Polar, can be found at XXLhoreca very high quality pizza refrigeration counters of Bartscher, each one catering brands manufacturers who already have proven the real professional kitchen understandable. 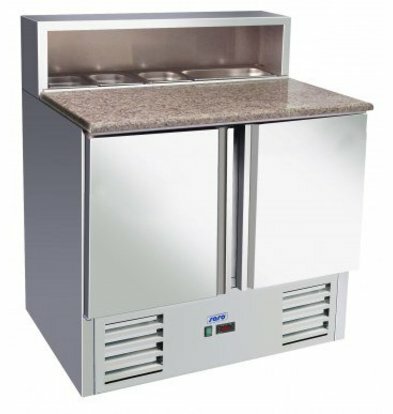 A pizza cool workbench of Saro can be used both ergonomic and easy to keep clean. 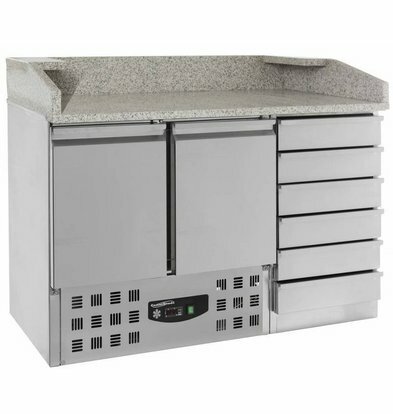 The entire substructure of this pizza workbench is constructed from stainless steel to wash thoroughly. 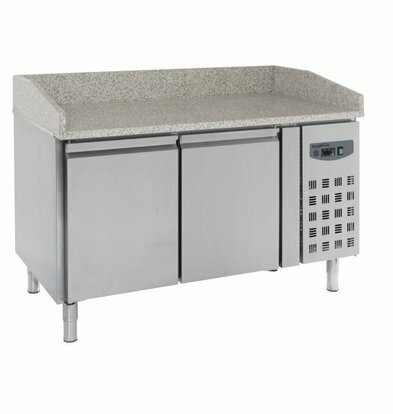 The pizza workbench has a granite worktop and has a glass top which all kinds of GN containers can be arranged. 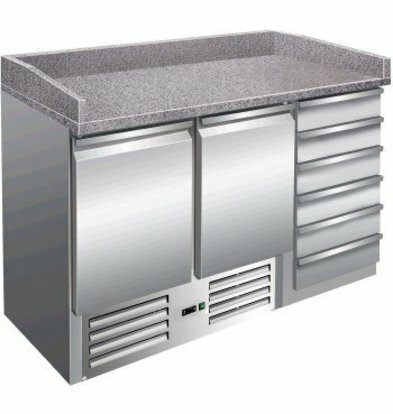 This pizza workbench unplug while functionality and attractive presentation at home. 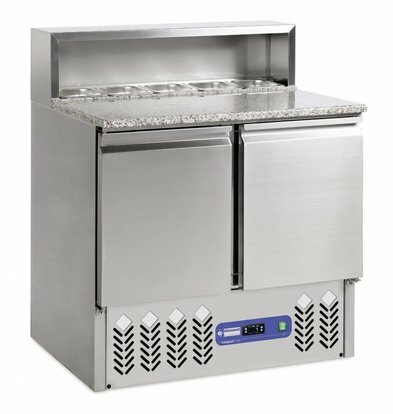 He is both in the kitchen and to be located outside the kitchen. 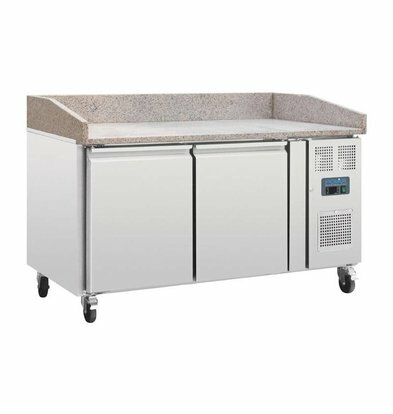 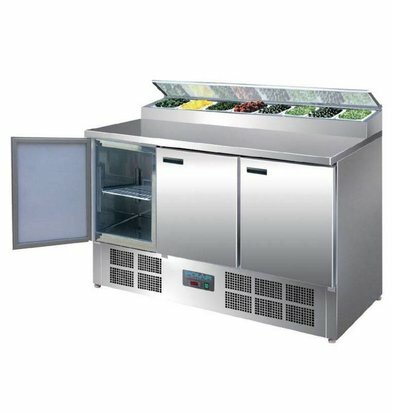 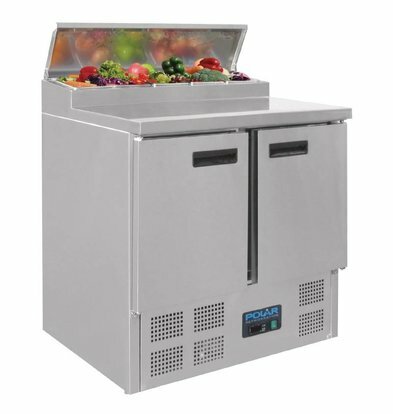 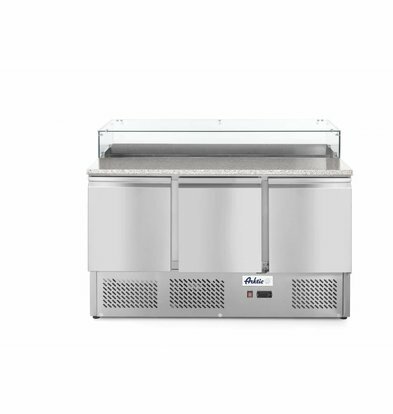 The cooling temperature is adjustable up to +2 ° C and refrigerated pizza work comes with a guarantee of no less than two years. 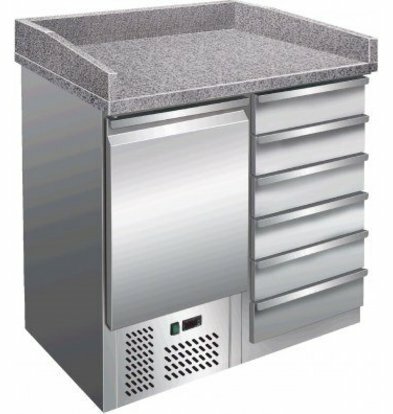 After you order your pizza workbench all within 48 hours at home. 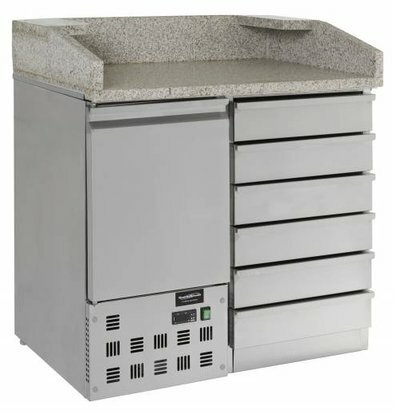 Learn more about our pizza workbenches? 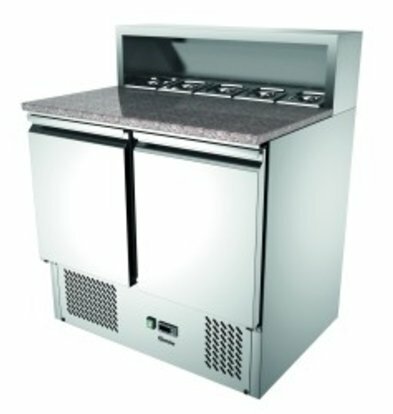 Ask your question to our service personnel!